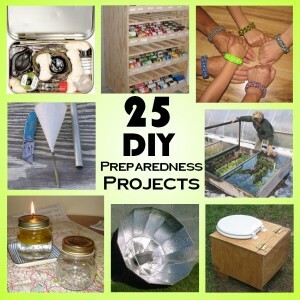 25 easy DIY prepper projects for preparedness and survival. 2017…..OBAMACARE will begin requiring everyone to take a microchip into their bodies. By 2018 THE RAPTURE will be here. If you know anything about prophecy, you know Israel became a state/power in 1948, seventy years later, a generation, the bible projects the rapture. That is 2018. GET READY NOW, if you know someone who is not “born again”, they have a choice. Either accept Christ, or face the tribulation. Seven years of the greatest trials that ever came on this earth. If you don’t believe in the bible, CHECK OUT mount ARARAT in Turkey. Noah’s ark is still there, although guarded by armed crazy people. Check it out for yourself, you don’t have to believe me. It is made of gopher wood. Just like it was described in the good book.